With the Jodi Arias trial kicking off this week, people are prepping for huge parties. Bags of chips and buckets of onion dip are flying off store shelves. Fans are sporting their favourite coloured ribbons and pom poms. And, as with any lynch mob, the more, the merrier. Well, it may be closer to reality than you think. The rise in “crime entertainment” is indicative of our lust for the hero/villain archetypes that have grown far beyond their expression through sports or fiction. Our fascination, which begins in our youth with fairy tales (or comics), is seized upon by producers of competition-based reality shows like Survivor, American Idol or even the Olympics. The broadcasts feature heart-felt (rather than vilifying) back stories about its competitors. Viewers tend to create their own villains, perpetuated through scandalous stories in tabloid news, online forums or social media. In contrast, we have crime shows or live trials on HLNTV — a network that is synonymous with tossing such niceties aside and going for the jugular. What’s even worse? They do so while purporting to give viewers the latest “news” and “facts” about a criminal trial. Nancy Grace turns these stories into sordid tales that pit saintly prosecutors (heroes) against evil defendants (villains) for a bloody brawl. In essence, public trials are turned into gladiator-style matches for hate mobs, “rock star” prosecutors (also here) and a parade of circus antics like mock juries, pseudo-psych analyses and crime scene re-enactments. None of this is done to further our understanding of the crime or gain a more balanced view about the people involved — but to stir up dark emotions for increased profits and public spectacle. From small claims court to the trial of a mother accused of murdering her daughter, our appetite for spectacle shows no signs of letting up. Whether this appetite leads to more tough-on-crime policies, a general numbness to government abuse, or the killing of children in raids-gone-bad, it will certainly not achieve the media’s purported service. The media should help us understand the nature of these crimes and seek to unearth whatever truths lie just out of sight. Journalists should give us perspective and context and hold all parties accountable. They should not sensationalize and dramatize or put the lives of innocent people at risk. Unfortunately this stuff sells tickets. Tickets aren’t the only thing this stuff sells. In the case of the Arias trial, the profiteering has escalated to melodramatic and maladaptive proportions. When I say “maladaptive” I am referring to the hate for Arias being so inflated that it leaves no room for reasoned debate or unbiased reporting. 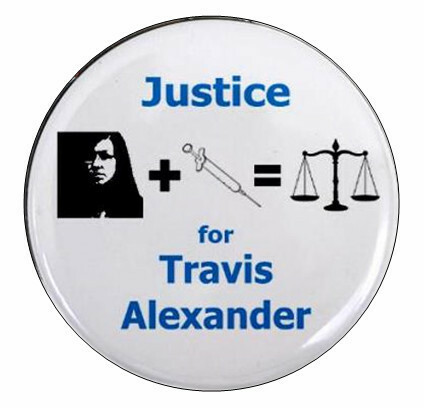 Instead, we are served a circus ring of Travis Alexander supporters that (dis)grace us with their presence on the revolving hate set of HLNTV — hate for Arias, her family or anyone who speaks out on her behalf (i.e. expert witnesses, friends or defense attorneys). In fact, HLN has turned this trial into a team sport with rogue commentators who perpetuate an imaginary tale of good versus evil. 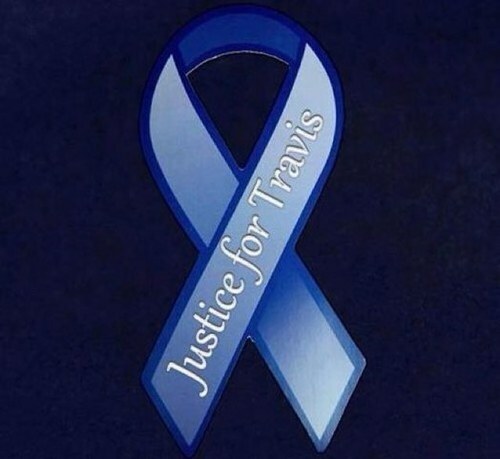 On one side of the gladiator ring we have Team Justice4Travis. 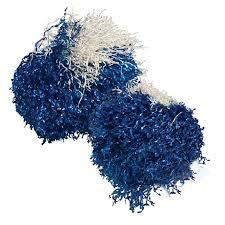 A stormy sea of blue ribbons who lynch the opposing team with Facebook page (OccupyHLN, in particular) or twitter account suspensions or post offensive spoof pictures of Arias getting the needle. On the other side is a more “disorganized” and eclectic group ranging from die-hard Jodi supporters to those who are expressing their distaste at tabloid TV and questioning the fairness of a highly publicized trial. 1. Promotion of ignorance: The circus culture encourages the media to offer sound-bite-based, exciting, controversial, and “interesting” explanations for complex issues. Those explanations are rarely complete, accurate, or fair. The media therefore promotes ignorance about the criminal justice system — the mechanism by which some of our most important rights are determined. 2. Promotion of Unquestioned Government Power: The circus culture naturally seeks swift, exciting, simple resolution — like the bad guy being caught, conclusively proved guilty, and punished in the 42 minutes of a TV drama. The media coverage encourages that attitude — and therefore encourages citizens to be impatient of anything that’s not cinematic and angry at anything that seems to interfere with a 42-minute resolution. But “swift and cinematic” favors unquestioning acceptance of government claims, not careful testing of the sufficiency of government evidence, and certainly not respect for rights or the rule of law. The trial-as-circus culture promoted by the media for its own financial benefit is all about promoting the age-old “tough on crime” mindset that constitutional and statutory rights are merely devices by which sleazy defense lawyers evade justice. 3. Promotion of Misconduct: The trial-as-circus atmosphere, with its attendant big money, brings the nuts, the con artists, and the crooks out of the woodwork. Crazy people show up claiming to be witnesses. Minor witnesses exaggerate or change what they saw in pursuit of their fifteen minutes and a book deal. Lawyers abandon their ethical duties in pursuit of a quick buck. What’s at stake here is a defendant’s right to a fair trial — and the sabotaging of the very mechanisms that determine our rights as citizens (as stated above). One openly mouthed “I’m sorry” to the Alexander family. An alternative juror posed for pictures with HLN pundits and jumped on the Justice4Travis bandwagon only hours after the trial ended (and has been whoring her twisted views on twitter and HLN ever since). The jury foreman, William Zervakos, was moved to offer his perspective and decision making process ( and has since received vile messages and death threats via email). I wonder which juror will take the first book offer? My guess goes to contestant number #2. Trials should not be used for entertainment, commercial profit or to publicly promote a personal cause (revenge). If trials (or catching “villains”) are to be made public, then this mechanism must educate the public in ways that are ethical, and don’t cause injury or threats to innocent bystanders, a defendant, their lawyers or to key defense witnesses. It is easy for any one of us to sit on our “spotted couches” and chant “death” while chomping on chips and dip. But trials should be informative, not spectacles or entertainment for lynch mobs. These are real tragedies that happen to real people. TV has turned crime into modern-day gladiator rings. When will this circus end? Stay tuned. I would love to read your comments — so please, just hit the comment link and talk away. Thank you! Government Corruption – The Roman Empire fell because it was bankrupted by its leaders. Roman Senators were selfish and self-absorbed, determined to hoard the huge wealth of the empire and enhance their wealth even further. The common people lost all power. Yes I agree it is disgusting watching people act this way in today’s world. Rhonda, what a great comment. The article you posted is quite fascinating. Wow. It is so fitting to contemporary society — even in Canada. In a recent “strike” in the NHL, despite their obvious greed, people returned at full speed watching the games. I used to love hockey, but after the first strike I just quit watching. I’m not opposed to sports or even in denial of its entertainment value, but surely it is a distraction from more important concerns? Thank you for your post! Exactly! In fact, keeping with the gladiatorial theme one could project forward 1,000 years into medieval times when jousting became popular, usually ending in the death or severe injury of one of the horse-backed parties. The practice was for noble ladies to pick their favourites and offer them a scarf to wear on their jousting sticks, so that in effect each jouster was “fighting for his lady”. This is not greatly removed today from the hoards of women who pick their favourite lawyer, invariably the prosecutor, and cheer him on, swooning, as he battles against the evil defense lawyer. Wasn’t Juan Martinez “jousting” with the ferocity of a chain-mailed knight charging his opponent and all who spoke for him with a deadly battering ram? Absolutely true PF. In fact, I just went back in and linked the alternate juror with your article as it really articulates her antics so well. I hadn’t even considered the jousting that came afterwards as being connected to the gladiator-esque style of the media. Apparently, we have learned nothing and keep propagating these horrible tactics. To elevate whom? I am personally offended by the women who do this noble picking. I am NOT one of those, and am pretty sure that the ladies I choose to keep company with would never stoop to such levels. disgust me. I am guilty of watching College football an only that I do not watch the professionals anymore. But I never wish for anyone to get hurt playing I know you will think I am silly but I do say a prayer before an during games to please not let anyone get hurt. I do like to see a young man get into the pro side though an succeed an hopefully give back to their community which most of them do. But so many get lost also in the power an greed of the pro’s it is sad to see that. Rhonda, don’t get me wrong (so, sorry). I actually LOVE sports. Huge die hard sports fan over here. I come from a hockey family, and I am an Olympic fanatic, but just see many professional sports leagues going to the wayside of profit over love of the game. That saddens me. I grew up playing competitive soccer, and there is much to learn from playing sports. Discipline, cooperation, tenacity and passion are all amazing things you can learn from playing sports. Yes I agree. I can’t give up my College Football. But I would never pay to go see a Pro Game. I did go to one pro NFL in Arizona the Bronco’s an Cardinals an it was just a drunk fest where I was barely could see the plays or hear a thing. The big screen at home is much better for me haha. I was raised in a way I loved Track an Field but my parents hated Sports never came to a meet or cheered me on. They absolutely hate Sports my dad would say why would a Football player or Baseball player make more than a man that can save your life? that makes no sense? an I do agree. My dad is 81 now my mother 68 an they both keep saying it is going to be like Rome here in American an it will fall they are glad to be going out soon an hope not too see it. You should consider re-publishing at GroundReport at a strategic moment, with suitable tags. That allows an article such as this to be more widely read, as google will index it rapidly and give it a high ranking for about a day in “News”. Maybe time it for the day of the next legal action. George, thank you. Can you talk me through the process? I have tags but possibly they are not “targeted” enough. Any advice you can give would be fabulous. I’m a bit green!